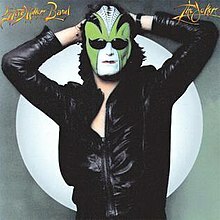 "Your Cash Ain't Nothin' But Trash"
"Shu Ba Da Du Ma Ma Ma Ma Ma"
The Joker is the eighth studio album by Steve Miller Band. The album was released in October 1973, by Capitol Records. The album marked a period of significant change for the group as the band abandoned their psychedelic-oriented music for a more melodic, smooth rock/blues sound. Perhaps not coincidentally, it was also their first solid commercial success due to the strong radio-play of the title track. The title track took 19 days to record. The album reached #2 on the Billboard 200 and has been certified Platinum in the United States. Stephen Thomas Erlewine of AllMusic rated The Joker three out of five stars, calling it "all bright and fun, occasionally truly silly". He also stated that it "isn't mind-expanding", but concluded by saying that it "nevertheless maintains its good-time vibe so well that it's hard not to smile along...provided you're on the same wavelength as Miller, of course." Four tracks from the album were released as singles: "The Joker" (1973), "Your Cash Ain't Nothin' but Trash" (1974), "Shu Ba Da Du Ma Ma Ma Ma" (1974), and "Evil" (1975). ^ "Rolling Stone's 100 Greatest Album Covers". Rolling Stone. Rateyourmusic.com. November 14, 1991. Retrieved June 28, 2011. ^ a b Stephen Thomas Erlewine. "The Joker - Steve Miller Band". AllMusic. Retrieved 2018-08-01. This page was last edited on 30 March 2019, at 16:15 (UTC).